Rodger’s Plumbing is a family owned and operated plumbing company in Dallas, Texas. We have been serving customers for over 40 years. Our staff is knowledgeable and dependable when it comes to plumbing services, including repairs and installations. We specialize in plumbing for bathtubs, showers, garbage disposals, toilets, sinks, and faucets. Our other services include water heater repair and installation, leak detection, and drain cleaning. Rodger’s Plumbing hires qualified, dedicated, and trustworthy employees. We want to provide the best quality plumbing services for our customers, and the first important building block is our employees. Please check back to see what positions are available at Rodger’s Plumbing. Licensed plumber skilled in residential service repair. Water and sewer testing, isolation and repair. Drain cleaning. Water heater installation. Invoicing. Clean background. Monday-Friday 8-5. 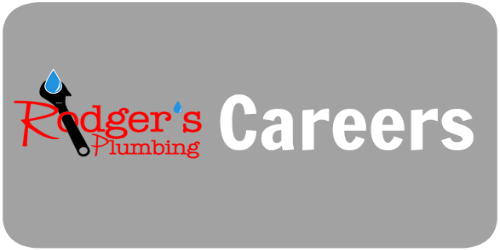 Interested in working for Rodger’s Plumbing? Call us at 972-931-1021 or email us at RodgersPlumbing@att.net. Rodger’s Plumbing serves the towns around Dallas, Texas, including: Frisco, Hebron, Mckinney, North Irving, North Mesquite, Rowlett, Murphy, Wylie, Sachse, Garland, Allen, North Dallas, Richardson, Plano, Carrollton, Addison, Farmers Branch, Coppell, Highland Park, and University Park.